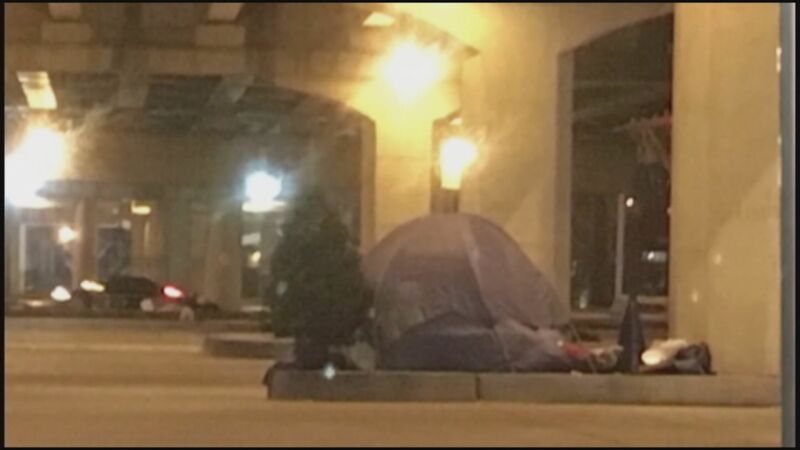 NEW ORLEANS – City workers removed a Christmas tree that a homeless man had put up in his makeshift camp. WDSU talked to the man who goes by John. He said a driver gave him $100, and John used part of the money to buy a Christmas tree and decorations. John told WDSU he wanted to bring hope to everyone living near his camp under the Pontchartrain Expressway. But Friday when the city did its regular sweep, crews removed it. John said another man living in the area tried to save the tree and removed it from the back of the dumpster, but crews took the tree a second time. According to WDSU a city spokesperson said the tree was a code violation and that was why it was removed.